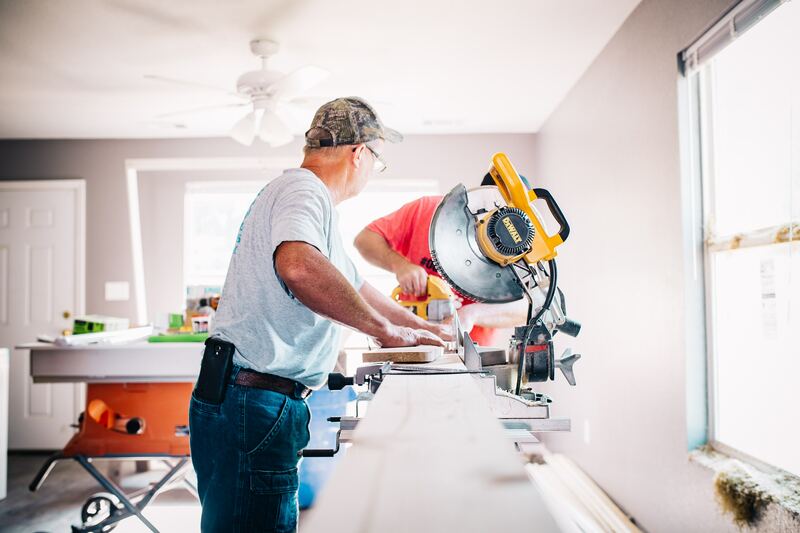 Renovating a house can be a nightmare, the costs, the inconvenience…and if you throw kids in the mix, well, you know you’re in for a show. With all of these factors slowly chipping away at our mental health, we might need to take a step back consider where we might have gone wrong and what we could’ve done to avoid this. When manning up and going through with the idea, there are several factors we can take into consideration beforehand to minimize stress levels and ensure we don’t strangle more than two people until the renovation work is complete. Unsurprisingly, getting the right people for the job should be your main concern. Avoid shady deals and offers that are too good to be true, 99% of the time – they will be. Another huge red flag is the old “my friend can do that for less” type deal. That’s a flag so red that Lenin would try to overthrow the Tsar with it. Communist jokes aside, invest only in quality people that have a resume behind them and work that you’ve been exposed to. Without some kind of baseline, you simply won’t have a clue of what to expect and that is a one-way trip to disaster. When considering professionals, and you really shouldn’t be considering anyone else, look for someone who’s not necessarily done a lot of work, but has the most colorful background. The logic behind this is that you want someone who’s not a one trick pony, who can deliver a wide variety of services at an acceptable level and cost. This will substantially narrow down your search and will guarantee that you get what you paid for, in the desired timeframe. It’s a good idea to quiz contractors on what you’ll need and what building codes need to be honored, real pros should know most of them by heart. This just comes down to our own little space after a hard day’s work. When the deed has been done and work has already been underway, we might find it hard to keep our routines due to the fact that we i.e. don’t have a roof in the living room anymore. It is important to separate our leisure activities from the rooms we did them in. Let’s face it, we can watch old reruns of Seinfeld pretty much anywhere in the house, the same goes for breakfast, dinner etc. You can keep your routines, you just need to be creative about it – furthermore, the little change might even come as a refresher from everyday monotony. Let’s face it, we’re going to end up dealing with the change either way, but kids might not understand what’s going on and why it’s happening. This confusion can lead to serious tension as they end up venting the only way they know how – by blaming their parents. Jokes aside, their own doubts about the whole thing will reflect on your relationship with them and can make the coming months seem like an eternity. Proper preparation can make a world of difference and can even turn the whole thing into some sort of game for them to experience. I.e. switching rooms every few weeks, eating around the house etc. This is more of a personal plea than anything else, for your household’s sanity and your own, renovate one room at a time. Your Mates Removals suggest you move all the furniture to a spare room and keep it locked away until it’s time to get it out. You will need a refuge, you will need the privacy that these unoccupied rooms will offer – without these, and you’re destined to spend the coming month(s) living like a squatter and in less than ideal conditions at that. So, unless you plan on moving out until everything is finished, take it slow, choose your battles and strategically take out one room at a time. During these endeavors, it’s is considered good practice to always prepare for the worst. More often than not, something will happen, whether unforeseen costs, damages to furniture, possible work delays etc. This is why we need to prepare for the worst and employ only the best for the job. By spending a bit more on someone who can get the job done and devising a battle plan, we’ll save ourselves valuable hours of sleep and a couple of dents on the old wallet to boot. ← A million people can’t be wrong!